You should offer your subscribers something of value in exchange for signing up for your email list, such as a discount coupon, a free report or a resource list. In the world of email marketing, this is known as a lead magnet. Many website visitors are hesitant to enter their email address into an opt-in form on a website because of the perceived risk of receiving more unwanted spam email. You need to develop a compelling and valuable offer so that your potential subscribers will desire your lead magnet enough to outweigh any potential fear of receiving more unwanted email. Your subscribers know that their email address is valuable to you and you need to offer them something valuable in return. A good lead magnet will help your website visitors learn a specific skill, solve a specific problem or accomplish a specific task. The lead magnet on any given page of your website should be directly related to the content on that page. This may mean that you have to create multiple lead magnets for different parts of your website over time, but the additional work of creating more targeted lead magnets will significantly improve your opt-in rates. Free Report or Guide – Free reports are the most common type of lead magnet. It should help your users learn about something they are interested in or help them accomplish a specific goal. For example, if you had a website about marketing, you might offer a free guide that helps people create their first Facebook ad campaign. The content of your free report should not otherwise be available on your website. Resource List – A resource list is simply a list of products, services, tools and worksheets that will help your subscribers get started more quickly with whatever it is that you want to teach them. If you had a personal finance blog, you might offer your subscribers a list of software budgeting tools and worksheets to keep track their debt, ensure they have the right kinds of insurance and determine whether or they are saving enough for retirement. Free Trial – If you run a software as a service (SaaS) company, you might consider offering a 30-day trial to your service as a lead magnet. Offering a free trial will get users engaged in your SaaS application and give you the opportunity to send them marketing content via email. Educational Videos – If you are good in front of a camera, you might record a series of instructional videos using your web-cam. You can also record a screencast of an application, like Adobe Photoshop or Microsoft Excel, to show users how to perform a specific task, like removing scratches from a photo in Photoshop or creating a pivot table in Excel. Downloadable Software – If your company or organization produces any kind of downloadable software, you might consider requiring a user to enter their email address in order to download your software. Discounts or Free Shipping – E-commerce stores often offer a one-time use coupon for 10% or 20% off a customer’s first order as their lead magnet. While offering a discount might lower the total price of a customer’s first order, it will significantly increase the probability that a website visitor will become a customer in the first place because they will be receiving email about your company’s products and services. 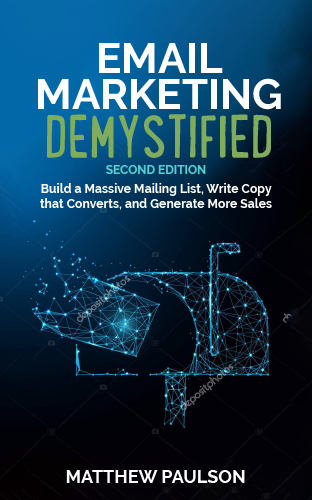 Catalog or Sales Material – If your company sells business-to-business services or offers a product with a high price point, a product catalog or sending additional sales materials can serve as an effective lead magnet. Physical Products – If having a subscriber’s physical mailing address is important to you, you can offer an inexpensive-to-produce physical product as your lead magnet. Small tools such as flashlights, knives and screwdrivers are often used as physical product lead magnets. In order to make up the cost of producing and mailing a physical product, you can also charge a small shipping and handling fee that will generally pay for both the product and the shipping. Digital Marketer’s SurvivalLife.com offers a “free” credit card knife for $4.95 shipping and handling. While they likely break even on their lead magnet, they acquire the email address, phone number and full mailing address of everyone that completes their opt-in form. At MarketBeat, we use our free daily email newsletter as our primary lead magnet. We set the expectation to our subscribers that they are going to receive an email from us that contains up-to-the-minute financial news and stock recommendations from us on a daily basis. By setting this expectation in advance, users will not be surprised by the relatively large volume of email that we send out. By sending out a daily email, we also have the opportunity to promote our premium products in our newsletter and insert cost-per-click (CPC) ads into our newsletter for advertisers. We have tested other types of lead magnets in the past, but our daily newsletter has outperformed everything else that we have tested. At USGolfTV, we use web-based training videos as our lead magnets. A website visitor might opt-in to receive a series of five videos about how to improve their putting or how to fix their slice. They have to verify their email address to receive the first video and will receive an additional video each day for the following four days. After the five day video series is complete, the subscriber will begin to receive our weekly email newsletter and marketing content for USGolfTV’s premium video training courses. The content in our lead magnets is often closely related to our premium video products, which makes for a smooth transition between sending our free video content and promoting our paid products. Filly Flair (www.fillyflair.com) and Chelsea’s Boutique (www.chelseasboutiqueonline.com) use discounts as their primary lead magnets. These two online clothing boutiques have recognized that their customers love getting a good deal and have leveraged that reality in their lead magnets Chelsea’s Boutique offers a generous discount of 20% off to each new subscriber’s next purchase. Filly Flair offers a coupon that provides a $5.00 discount regardless of order size. By offering a coupon to new subscribers, these boutiques are increasing the likelihood that a customer will place another order quickly because they want to make use of their coupon. If you are not sure what lead magnet will work best for your website, there are a large number of resources available online that offer specific ideas for lead magnets. A Google search for “lead magnet ideas” will return dozens of pages of articles that contain lead magnets that you can model. You can also checkout the websites of some of your competitors to see what kinds of lead magnets they are offering to get some more industry-specific ideas. 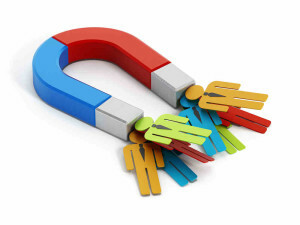 Don’t agonize over the task of creating a lead magnet. Your lead magnet does not necessarily need to be long, complicated or take a lot of work to create. You may be able to repurpose a piece of content that you have already created as your lead magnet. You might even be able to use a piece of content that someone else has made as your lead magnet. For example, I once used a free guide produced by the Financial Industry Regulatory Authority (FINRA) as a lead magnet. Your lead magnet can be as simple as a one page report or a list of your favorite tools and resources. Regardless of what you choose as your lead magnet, remember that it should be a piece of content that is valuable to your readers. It should be closely related to the content on your website and should teach your readers how to accomplish a specific task, learn a specific skill or solve a specific problem.